Dr. Martin Feldstein has been a director of several public corporations. He is also an economic adviser to several businesses and government organizations in the United States and abroad. He is a regular contributor to the Wall Street Journal and other publications. 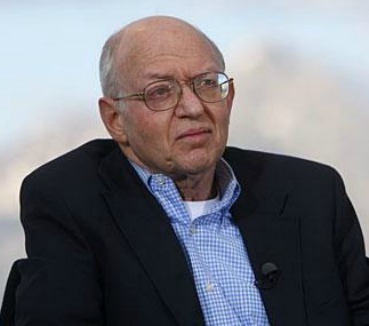 Martin Feldstein is a graduate of Harvard College and Oxford University. The Root of the Economic Woes and theNeed to Address the Fundamental Cause Savvy Economists saw it coming. Dr. Feldstein is a member of the American Philosophical Society, a Corresponding Fellow of the British Academy, a Fellow of the Econometric Society and a Fellow of the National Association of Business Economics. The bubble in the housing prices, high loan to value ratio for millions of homeowners and the manner in which mortgages were securitized was not a formula for long-term economic success. The result was household wealth degradation and destruction of capital financial institutions that hold mortgages and mortgage-backed securities. While the country hopes that recent financial rescue plans will bring back the confidence needed to revive the financial system, has the root of the problem been addressed and where do we go from here? In this revealing presentation customized for your organization from one of the world's leading economists, Martin Feldstein, the George F. Baker Professor of Economics at Harvard University, shares insights into the current, and complex, economic dynamics. "Dr. Feldstein is specially a great speaker because he prepares well and match the needs of each meeting precisely. He was powerful and his presentation laced with great humor."